An ERDF-funded project aims to understand more about microplastics, evaluate technologies to reduce their presence in the Baltic Sea, and develop policy recommendations to address the issue. Marine litter is one of the biggest environmental problems we face today, including plastics in particular. 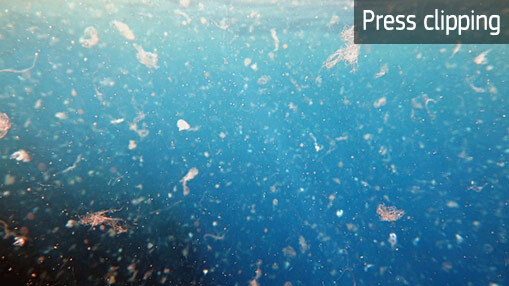 Microplastics are fragments of plastic measuring less than five millimetres in size. Although the scale of microplastic pollution in the environment – particularly the marine environment – is finally being acknowledged, there is still a lack of understanding about these pollutants. In response, the ERDF-funded ‘FanpLESStic’ project, led by the Sweden Water Research company, will try to find out more about microplastics. The project will investigate the origins and movements of microplastics; evaluate technologies which aim to reduce them or their leakage; and raise awareness of the issue among decision-makers by proposing cost-effective reduction methods for the leakage of microplastics into the environment. The project consortium includes partners from eight countries with Baltic Sea coasts, depicting the importance of shared expertise and knowledge in this context. It began in January 2019 and will run until June 2021, with a total budget of just under EUR 3 million.